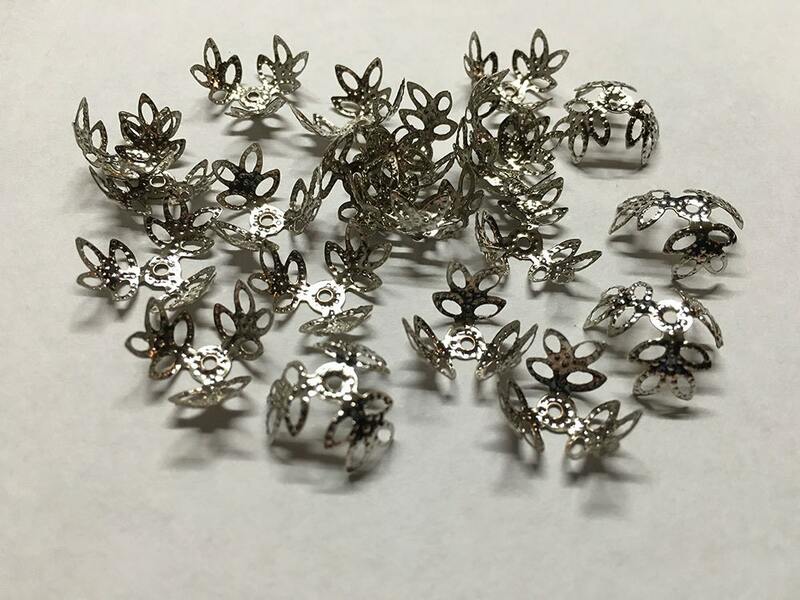 50 silver tone filigree leafy or flower bead caps, 14mm x 14mm (5/8 inch), Hole size: 0.6mm. Antique copper tone alloy (lead and nickel safe). Makes great larger sized caps for creative jewelry applications. Nice all-around transaction: great supplies, good prices, dependable customer service! Prompt communication too! Thanks! !